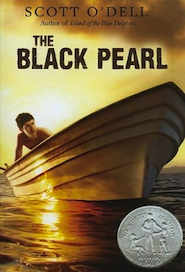 Kino is a poor Mexican fisher and diver who one day discovers a large and beautiful pearl. He thinks that it may be valuable and shares the news with his wife, Juana. Kino dreams that the pearl will bring him and his family a better life. However, his good fortune has some unplanned consequences. Will he and his family eventually find happiness, or will the pearl bring them only misfortune? The Pearl is a deceptively small book that teaches a very important lesson – that you should be careful what you wish for. Despite Kino’s hope that a priceless jewel can help him achieve the American Dream, he is faced with an attempt on his life, the burning of his home, and violent conflicts with his wife. 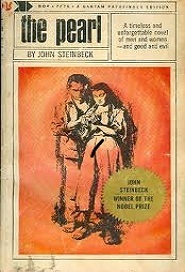 It is a novella that reveals the capacity for yearning and jealousy within us all.